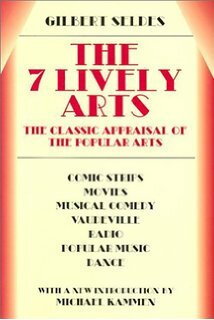 So I've been reading this wonderful book, The 7 Lively Arts, written in 1924 by writer and cultural critic Gilbert Seldes, who "spent his career analyzing popular culture in America, advocating cultural democracy, and subsequently, calling for public criticism of the media," according to Wikipedia. Amazon describes his books as, "Intelligent, engaging discussions of slapstick, comic strips, vaudeville, and other elements of popular culture and their relationship to such traditional art forms as opera, ballet, drama, and classical music. Tributes to Chaplin, the Marx Brothers, and a host of other celebrities." The book appeared on my radar because in 1944 Billy Rose put together a revue (pretending to be a book musical) called The 7 Lively Arts, for which Cole Porter wrote the score, loosely based on the book. 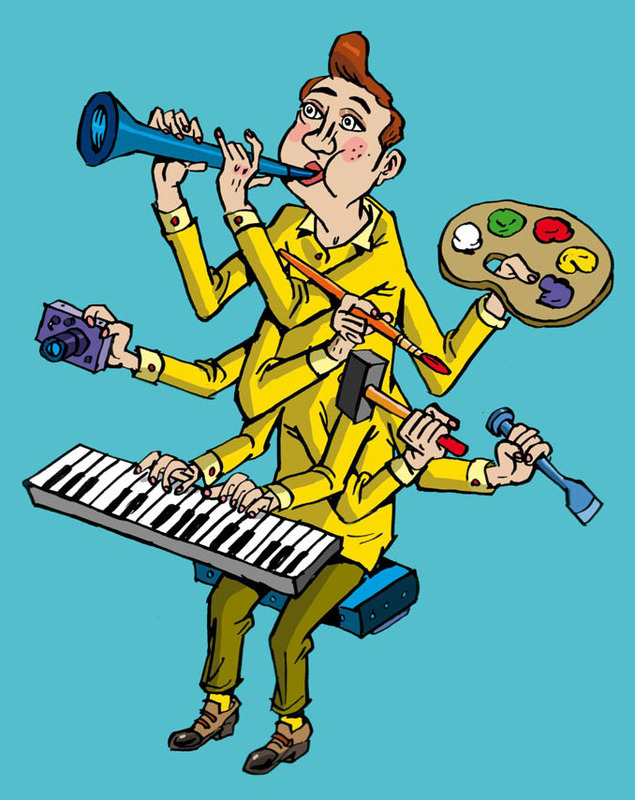 So what are The 7 Lively Arts? Seldes was really just talking about pop culture, as opposed to "the fine arts." He even tells us at the beginning of the book that there aren't really seven. More than anything, the book was a declaration of cultural war against those who would try to make the arts elitist. 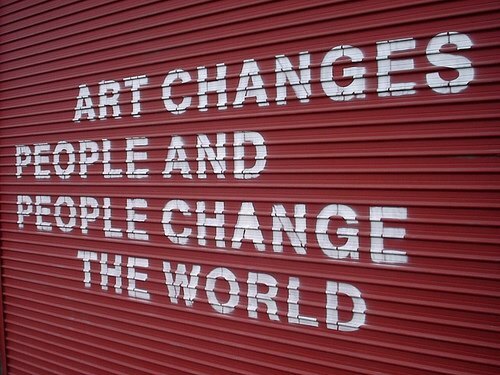 Art should be for everyone. But that leads to something even thornier... what is art? Will we ever stop asking that question? Will we ever really agree on an answer? No and No. According to Wikipedia, "art is a documented expression of a sentient being through or on an accessible medium so that anyone can view, hear or experience it." It also says, "Traditionally, the arts are classified as seven: architecture, sculpture, painting, music, poetry, dance, theater/cinema, with the modern additions of photography and comics." "Fine Art" = "Creative art, especially visual art, whose products are to be appreciated primarily or solely for their imaginative, aesthetic, or intellectual content." "Pop Art" = "The art of popular culture. It was the visual art movement that characterised a sense of optimism during the post war consumer boom of the 1950s and 1960s. It coincided with the globalization of pop music and youth culture, personified by Elvis and the Beatles. Pop Art was brash, young and fun and hostile to the artistic establishment. It included different styles of painting and sculpture from various countries, but what they all had in common was an interest in mass-media, mass-production and mass-culture." "Pop Culture" = "The entirety of ideas, perspectives, attitudes, images, and other phenomena that are within the mainstream of a given culture, especially Western culture of the early to mid 20th century and the emerging global mainstream of the late 20th and early 21st century." And just as America is a country made up of people from every other country on earth, so too the American musical theatre is an art form made up of all the other art forms: Storytelling/Literature, Poetry, Music, Dance, Architecture, Sculpture, and Painting. It is the most collaborative of all forms, by a country mile. Which is why it's so difficult, so rewarding, and often so thrilling. In its early days, the songs of the musical theatre were the songs of the pop charts. That ended when rock and roll fully took over the culture by the late 1950s. Lots of people have lots of explanation of why theatre music and pop music parted company, but really it's just that the two song forms were on different tracks. The rock and roll of the 1950s was intentionally simple, accessible, "catchy." That's also what early theatre songs were like, in the 1900s and 1910s. But theatre songs had advanced beyond that by the time the culture turned to the new sound of rock. Theatre songs had too little repetition and too much information for the pop market at that moment; and rock songs had too much repetition and too little information to work in the mid-century musical theatre which had been transformed by Rodgers & Hammerstein. Finally, in the 1990s, due mostly to Rent, but also Hedwig and other shows, theatre music and pop music began to converge again, as rock music evolved and diversified, and as rock became the default musical language of 21st century musical theatre. We artsies like to talk about What is Art? but nobody has a definitive answer. The more I've thought about it over the years, the more I've come to the conclusion that art at its core is just about an artist communicating something of value (usually a story) to an audience. No audience? Not art. Nothing of value to communicate? Not art. 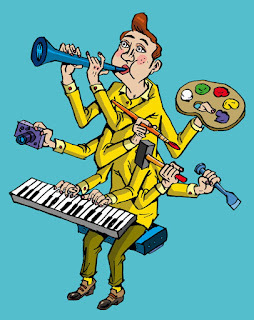 And so what is an artist? Well, I know this is circular, but an artist is someone who communicates something of value to an audience. Who decides what is "of value"? Ah, that's the tricky part. We each do. Not all art is good. Not all art is important. 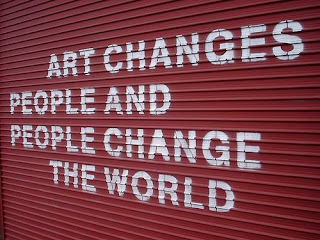 But all art communicates, and if it doesn't, it's not art. That's what I think, anyway. Your mileage may vary. We start rehearsals for Zorba in a week! I can't wait!